A cool statement can make your whole day and walk you through all that daily rubbish. And if happen that your work clothing doesn’t include the usage of some of our cool t-shirts, you can put a trendy and distinctive quote on your phone case. 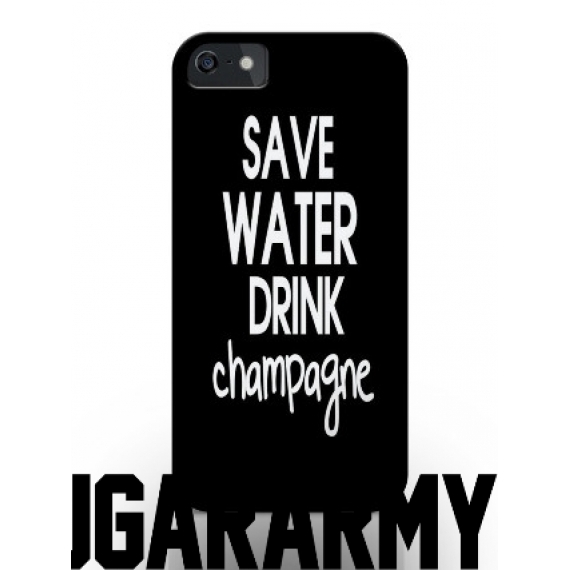 “Save water, drink champagne” phone case is an adorable product which in one way will be protecting your phone and on the other hand it will provoke smiles and “alcohol-usage” jokes up. Yep, jokes about booze are surely the best. So why won’t you put that printed on your phone case? This item is available for various mobile phones and can be modified for each one of them.